Annisquam Herb Farm: It is a Caesar Salad night . . . It is a Caesar Salad night . . .
. . . here at the Herb Farm. 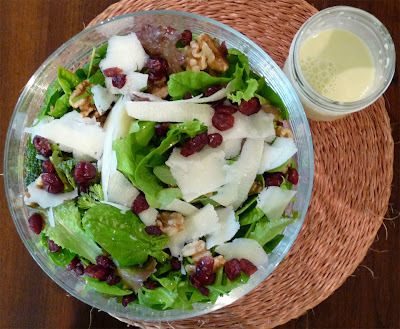 Fresh greens & herbs with slivers of cheese, walnuts and cranberries and an awesome Caesar Salad dressing. Blend all ingredients in blender or with stick blender for 30 seconds.